← Are Raccoons Afraid of Anything? Raccoons generally mate between the months of January and mid-March. This means that a fresh generation of baby raccoons are likely to be welcomed this very month! For this reason, it is important to get your home prepared for seasonal wildlife activity. This vital home improvement step is the best method to protect your home from nuisance raccoons this spring. Continue reading to learn more about raccoon breeding season, and how to get started protecting your property from wildlife intrusion. History has shown that raccoons congregate in gender-specific groups; so they only pair up temporarily with partners during specific times of year for the purpose of mating. Females and males begin mating as early as January, and gestational periods last only 65 days on average. This means that new raccoon kits have already been born this year! Females raccoons generally birth anywhere from one to five babies, known as “kits.” Following birthing, females separate from the male raccoons to raise their young alone. Kits are born blind and deaf, but with their distinguishable black mask. Between 18 and 23 days, kits develop hearing and eye sight. They remain segregated in their den for 8 to 10 weeks, nursing on their mother’s milk for up to 16 weeks. They remain in their mother’s care for up to one year or more (usually around 13 or 14 months). After one year, females begin reproducing, and eventually start the process all over again on their own. All of these facts give raccoons the potential to expand quickly, and over a short amount of time. Homes are at risk of wildlife intrusion all year long. Properties near large bodies of water or wooded areas are at an even higher risk of nuisance wildlife problems. It is important to take the right steps in order to protect your home from wildlife damage and infestation. 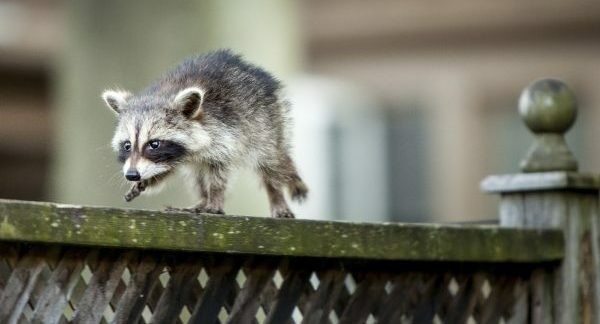 Since raccoons are intelligent and capable of climbing and grasping, they are a very common nuisance for home owners. They can access attics, porches, garages, sheds, roofs, and more, and cause a long list of expensive damages. So what you can do to stop this from happening? 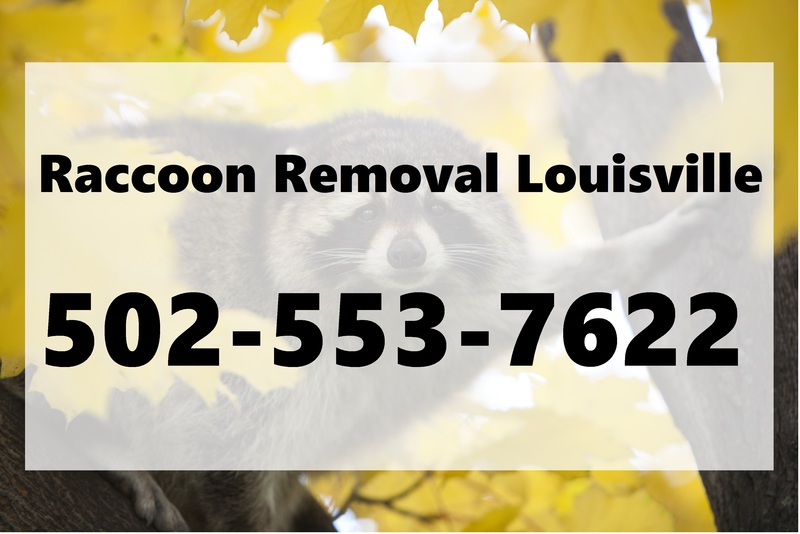 You can contact a local and trusted Louisville raccoon removal and control company for expert advice personalized for your particular property-type. If you are looking for a do-it-yourself route, consider making some environmental modifications to your home to stop raccoons. This includes keeping your garbage and trash cans locked up until the day of collection, installing automatic lighting or sound machines, sprinkling hot pepper and cinnamon around your property, and having the exterior components of your home inspected for gaps, openings, and weaknesses (i.e. roof, siding, porches, patios, etc.). We Have the Workable Solutions You Need! 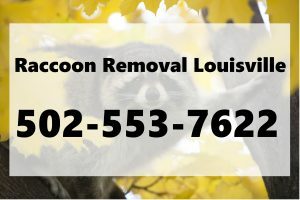 This entry was posted in Louisville Raccoon Removal and tagged Louisville Raccoon Removal Company, raccoon facts, raccoon mating season, raccoon removal tips. Bookmark the permalink.